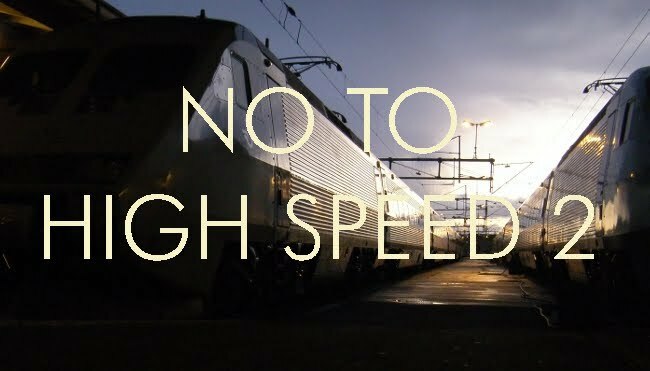 A firm order for the Hitachi Inter City Express (IEP) has still not been placed. The trains will, if ordered, run initially on Great Western routes out of Paddington, which on current plans will be electrified to Bristol, probably to Swansea, and to Oxford and Newbury. This will still leave a substantial mileage without electrification, including most of the main route from London to Cornwall, the line to Worcester and Hereford, and the West Wales area. In theory, a train like the IEP, which can run under electric power on electrified routes but is equipped with diesel engines to enable it to run on non-electrified lines as well, could be just the ticket. Pictures released by Hitachi, however, show the usual cavalier disregard for alignment of seats and windows, so unless the actual trains are very different from the illustration, these are unlikely to be pleasant to travel in. Part of the trouble is the sheer cost of the trains, which means that seats will have to be crammed in to make the investment pay its way. And with diesel engines under three out of the five coaches in the "electric" version of the train, running costs will be higher than for a normal train, not least, due to the need to drag the heavy engines around under electrified routes. When running in diesel mode, passengers will be subjected to the throbbing and vibration of big underfloor engines, which we have learned to love and enjoy since the coming of the Virgin Voyagers. These trains have ended up like this largely because of the way the civil servants at the Department specified them - as a dual-mode train, with no need for a change of locomotive where the electrification came to an end. Claimed figures for energy consumption have been disputed as they do not seem consistent with what is usual for trains of the same weight running at the same speeds. The real objection to these trains is that they are bad value for money, since their introduction involves writing-off trains which are able to continue in service for any forseeable time horizon. These include not only the HST units, but also the locomotive-hauled mark 3 vehicles for which there remains a healthy demand from the train operators, and now, the fleet of over 80 mark 3 coaches which has just been put up for sale by Irish Railways. Studies have shown that mark 3 stock is good for at least another 20 years. Both Vossloh and Bombardier have now come up with new designs for locomotives for hauling passenger trains, which could operate in push-pull mode with this existing stock. If there was a need for additional stock on the fully electrified services on GW, existing designs like the class 444 Siemens Desiro, as running on South West Trains routes, would do nicely. Under a strategy of retaining mark 3 stock indefinitely, there would, however, still be a need for additional vehicles, to comply with modern accessibility requirements provide passenger-carrying driving trailers. The drawback, which is largely imaginary, is the need for locomotive changes, probably at places like Bristol and Oxford. For the rest, it is one of those instances where a better product is available at a fraction of the cost. And the IEP is not a cheap train. Because the contract is to supply and operate the trains for their full lifetime, it is difficult to discover the actual cost of the trains, but it is thought to be in the region of £2.0 milllion to £2.5 million per vehicle, which is roughly the same as a locomotive capable of hauling existing stock or new vehicles intended for locomotive haulage, the latter typically costing about£700,000 each. Although this will annoy alot of people travelling to London from further afield they should just have Swansea and Bristol as hubs for further travel. i.e. if your coming from Plymouth you get the train to Bristol and then another to London. This means that you don't have to haul around useless diesel engines or empty carriages. Although what they should really do is electrify the entire british rail network (provides employment in all those parts of the country which currently have unemployment problems not the southeast). The diesel will run out (2040s), so it is not a long term solution. Splitting the routes as you suggest would also avoid the problem of local train services in the south-west getting disrupted by delays and cancellations elsewhere in the country - I have been stuck at Penzance wanting to travel to Truro, due to a problem at Birmingham earlier in the day.